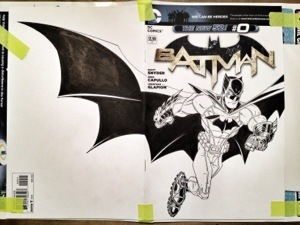 Here’s a batman cover I drew last night. I’m going to add a background to it soon. Let me know what you think? Post in the comments. That’s awesome. A great take on a classic character! Thanks! 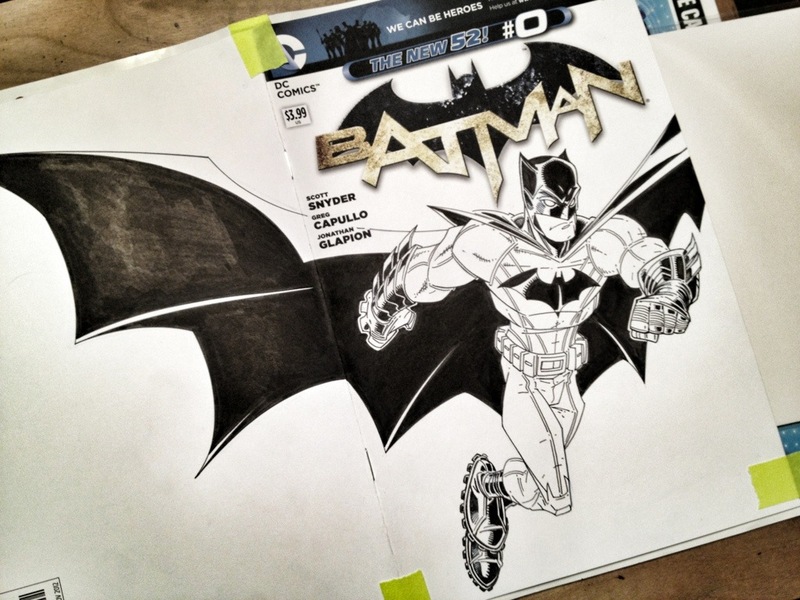 I’m pretty inspired by the new Batman series out now. Greg Cappulo’s best work. The storytelling is awesome. I completely agree! Snyder’s storytelling matched with Capullo’s art is a win. i hear ya! i have them all on my iPad so when i finish i start over, waiting for the next issue… it’s some what of an obsession. Me too, I have em on Comixology! i’m looking at buying the Marvel Unlimited Subscription. you have that? Comixology is the way to go! I don’t have the Marvel Subscription… unfortunately, funds are limited and when faced with the choice, the Dark Knight gets my dollar every time. Hahaha! That sure does sound likes good deal! Decisions, decisions!